Notify me of updates to BLACK INDIANS. 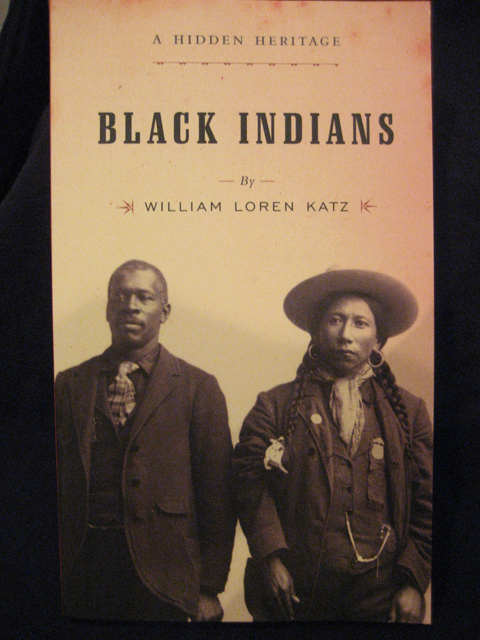 BLACK INDIANS/ William Loren Katz $11.00 The first paths to freedom taken by runaway slaves led to Native American villages, where black men and women found acceptance and friendship among our country�s original inhabitants. Though they seldom appear in textbooks, movies, or TV shows of the Old West, the children of Native-and African-American marriages shaped the early days of the fur trade and made a daring contribution to fight for American liberty. ve-and African-American marriages shaped the early days of the fur trade and made a daring contribution to fight for American liberty.